Avasant's comprehensive analysis of Intelligent Automation process implementation and adoption across industries has revealed common challenges to RPA adoption which we've shared in a previous article. 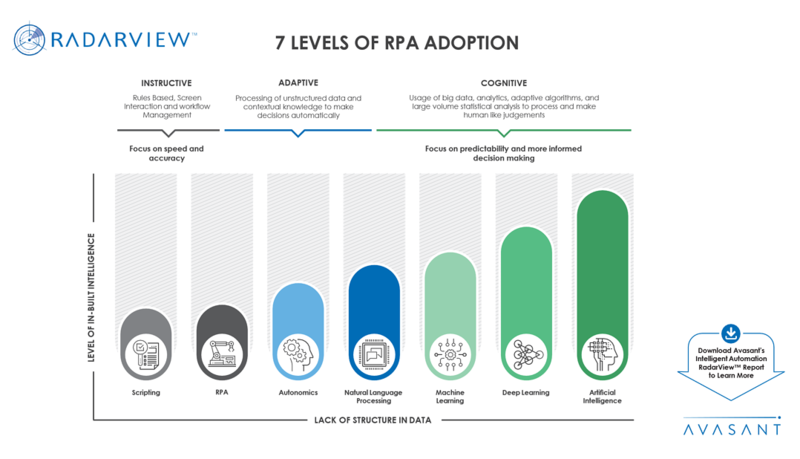 In this infographic, we outline the seven levels of RPA Adoption based on our findings after a thorough investigation of the industry. Learn more about the Intelligent Automation service provider landscape via Avasant's Intelligent Automation Services RadarView™ report 2018 here.